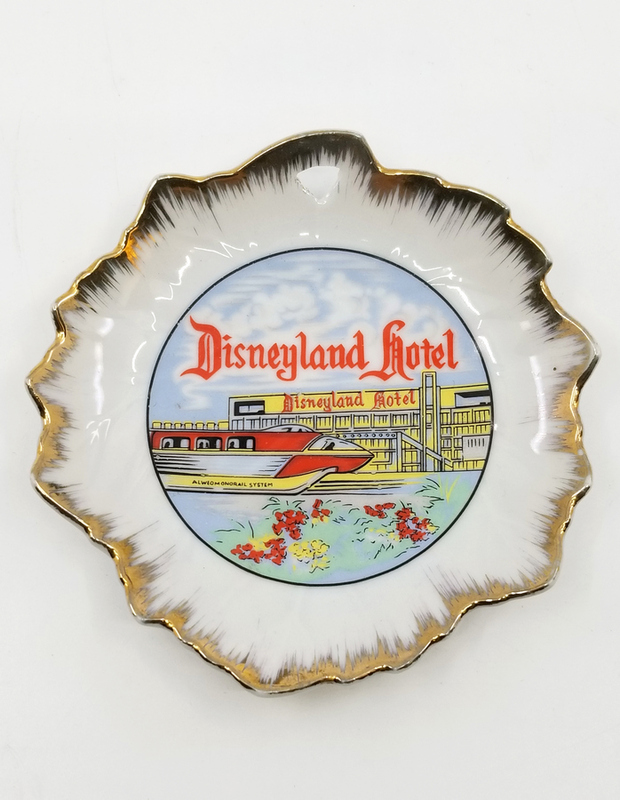 4.75" x 4.75" x .75"
This is a vintage ceramic souvenir plate sold at Disneyland in the 1950s/1960s. 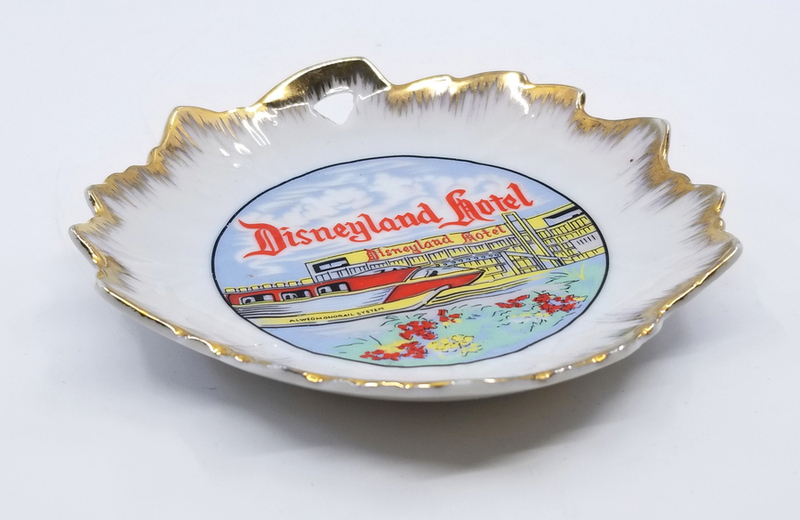 The plate has a shape similar to a leaf and features a gold edging and a depiction of the Disneyland Hotel with the Monorail. 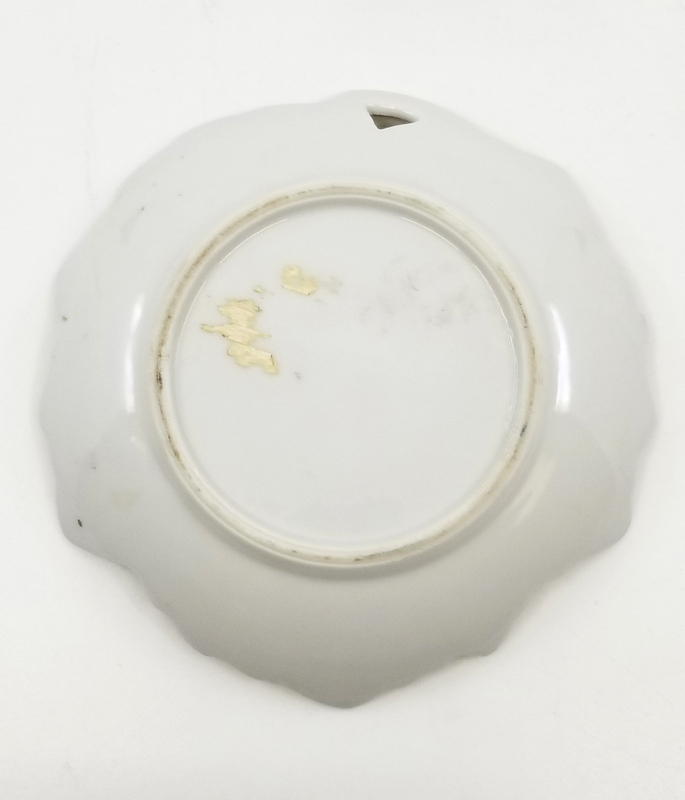 The plate measure 4.75" x 4.75" x .75" and is in very good condition.